Home / Health & Medicine / Health sciences / Medicine / The scientists found a compound that kills 98% of bacteria resistant to antibiotics! 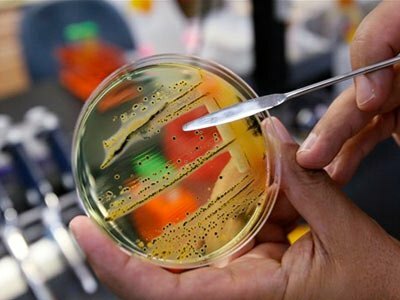 The scientists found a compound that kills 98% of bacteria resistant to antibiotics! Researchers have discovered a compound in a sponge that lives in the ocean around Antarctica that is strong enough to kill 98% of superbugs resistant to antibiotics, so-called. Superbug, staphylococcus aureus, known as MRSA. Scientists have made great efforts and research focused on the discovery of drugs that will prevent superbugs that we seriously threatened. Now, a option Antarctic sponges Dendrilla membranoso which opens a new avenue in the search for the drug. According to the US Centers for Disease Control are recorded annually in the United States 80,000 MRSA infections and 11,000 people die from the consequences of infection. Superbugs is the colloquial name for the bacteria that have become resistant to antimicrobials. Today it is a very widespread phenomenon, and some are pathogenic bacterial pathogens become resistant to multiple classes of antibiotics. Subsistence usually occur antibiotic sulfanilamide, streptomycin, chloramphenicol and tetracycline. Bacteria may carry resistance to only one of them or all. The most important characteristic is that the antibiotic resistance can be transferred from the resistant bacteria to not resistant, but also to those who already wear resistance to the same or different antibiotics, thus creating multiple resistance. MRSA is short for the bacterium Staphylococcus aureus that has developed specific resistance, the first action of penicillin in 1947, and later to the effect of the antibiotic methicillin and similar anti staphylococcal drugs that belong to the group of beta-lactamase. The name says it is a bacterium resistant to methicillin: methicillin Resistant (resistant) Staphylococcus aureus.